My spiritual guides were telling me to go to the Jade Buddha Temple here in Shanghai today because today is a very important day in the Nong Li Chinese calendar. Today is Kuan Yin’s day of enlightenment, the day she was made eligible for Buddahood status, way, way back in Chinese history. I spent a couple of hours or so in deep meditation at the temple today, it was very busy, many tourists and of course thousands of local Chinese going to pray and pay their respects to Kuan Yin the bodhisattva, goddess of compassion and mercy. 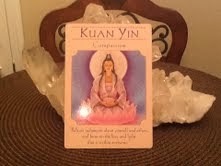 I also came across this wonderful article on Kuan Yin posted by Linda Backs on http://consciousconnectionsdailyreadings.blogspot.com courtesy of Doreen Virtue. This powerful goddess is a ‘bodhisattva’, which implies that she is eligible for Buddhahood, yet she has committed to remain as a goddess/Ascended Master in service to Souls on Earth. Kuan Yin (pronounced ‘Kwawn Yin’) assists us in all matters of compassion and mercy, in relation to ourselves and others. Her gentle energy exemplifies that to be gentle does not imply weakness, as she vehemently protects women and children, encourages those with musical abilities, and accelerates the gift of psychic clairvoyance (clear ‘seeing’) for those with such aptitudes. I first heard the story of the Peace Butterfly from a poor Chinese farming family near Tian Mu Shan in Zhejiang Province. The grandmother had heard it from a traditional Chinese Story Teller. It is not known if it is “true” but there is great “truth” in it. Wu said it was sad that the story was discontinued being passed on. He said it had great power. You will find this if you look carefully. It is a story of Peace. It is not just a “pretty” story or “cute” or “sweet” story. It is a story of transformation. Look below the surface and see what you can find. It is my mission to keep it alive and from it give disadvantaged rural children an opportunity to education. This story was told to me by a farmer who lives near the village of Shi Ta Wan near Zaoxi in China. He is not sure where the story comes from but he thinks it from Yunnan Province. He said it does not matter. He told me that the people often used to tell the story “to keep it alive.” He regrets that for a long time now the people have forgotten to tell it. A long time ago there lived a hermit monk called San Qi. He lived in a hut beside a mountain stream. During his time there was much violence and war as local war lords tried to grasp power. There was much sadness and suffering and many families had lost not only their belongings but also family members who were killed in the wars. San Qi was very sad. Daily he prayed that the Bodhisattva Kuan Yin would bring peace to the land. One night he had a dream. In the dream Kuan Yin in all her beauty appeared to San Qi. She told him that a battle was to begin between two towns the following day. She instructed him to play his bamboo flute with all his skill beside the mountain stream. With that, she took the form of a butterfly and flew into the clouds. The following day, San Qi, disturbed by the news of impending battle and astonished by the dream did as he was told in the dream. He sat on a rock beside the gentle mountain stream and began to play a soft melody on his flute. He played with great care and skill. The notes were like wisps of breeze as they floated melodiously about him. Suddenly there appeared a beautiful blue butterfly dancing about his head to the wooden tones of his flute. Then two appeared of different colours; then a third, then dozens then hundreds. Before long there were thousands upon thousands of exquisitely colourful butterflies. As San Qi continued to play the butterflies ascended towards the sky. Down in the valley the armies and people of both cities were facing each other ready for the battle. The archers had drawn their bows with arrows posed for the kill. Suddenly there descended from the sky the thousands upon thousands of butterflies. There was such a host that the sun was darkened by their presence. Afraid that if they released their arrows the soldiers of both sides would kill the butterflies and afraid that this was a sign from the heavens they put down their weapons and felt great shame. A young man who had been collecting Bamboo in the mountains above the village told the people he had heard a heavenly sound of flute coming from beside a stream. When he went to investigate he saw the monk San Qi playing his flute surrounded by a host of butterflies. Before long the word had spread in the two towns. That very evening the people of the waring towns came together and lit candles and incense to the Buddha for showing them the way to peace and happiness. It was decided that every year the villagers would tell the story of San Qi and remember the way of peace and happiness. People began to grow many coloured flowers to attract the butterflies and there was much happiness through the region. 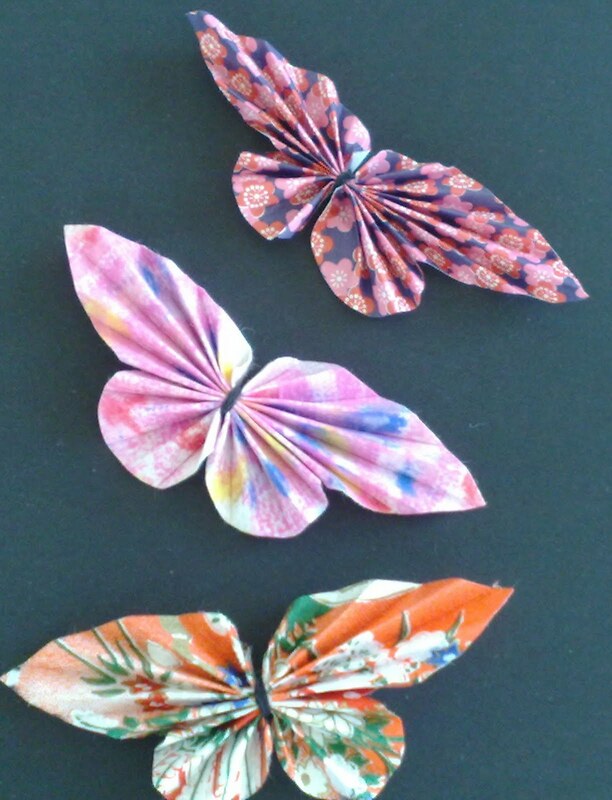 This is the story of San Qi and the Peace butterflies.